Our latest packs, on sale for limited time! Welcome to the VectoriaDesigns Pack Shop. We offer you the possibility to buy Packs of 10 or 20 of our Collage Sheets, hand picked for your enjoyment. The Pre-Release Packs on offer now contain brand-new items that are not available in our Etsy shop yet. As subscriber to our mailing list, you get the exclusive chance to buy these at amazing prices for a very limited time! ♥ All images and designs are copyrighted and property of VOF VectoriaDesigns. 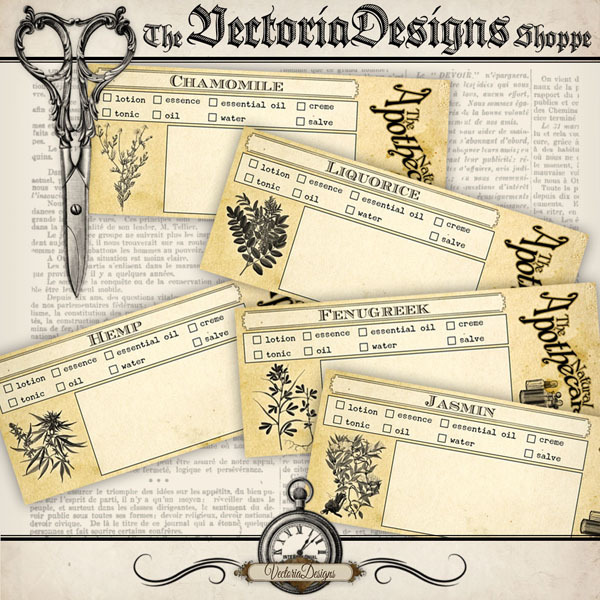 ♥ Buying any item in the shop of VectoriaDesigns equals buying a Limited Personal License. This Limited Personal License gives you the right to use the designs bought from VectoriaDesigns for personal, non-commercial use. ♥ The Small Business License will allow you to sell to customers (b2c) online and in one physical shop. ♥ For wholesale (b2b) and sales in more than one physical shop, you will need a Professional License. ♥ Selling digital items made with our designs, for example in digital collage sheets, is not permitted in any form. © VOF VectoriaDesigns. All Rights Reserved.